Gurgaon, June 28 (NITN): Airline major Spice Jet on Wednesday announced the Mega Monsoon Sale with one way all inclusive starting fares as low as Rs 699. The Mega Monsoon Sale offers all inclusive fares starting as low as Rs 699 for its nonstop domestic flights covering routes like Jammu – Srinagar, Srinagar –Jammu, Guwahati – Agartala, Agartala – Guwahati, and Aizwal- Guwahati amongst others. The first of its kind sale gets even better with the lucky draw which offers travellers the chance of winning International Holiday packages of 3 nights and 4 days, while the bumper prize is a fully paid 7 nights 8 days vacation in Europe for two. "There’s more, ten lucky winners will daily get to win domestic travel packages worth Rs 10000/-. Every day one winner will get an international package to Dubai, Male, Colombo, Bangkok or Muscat. 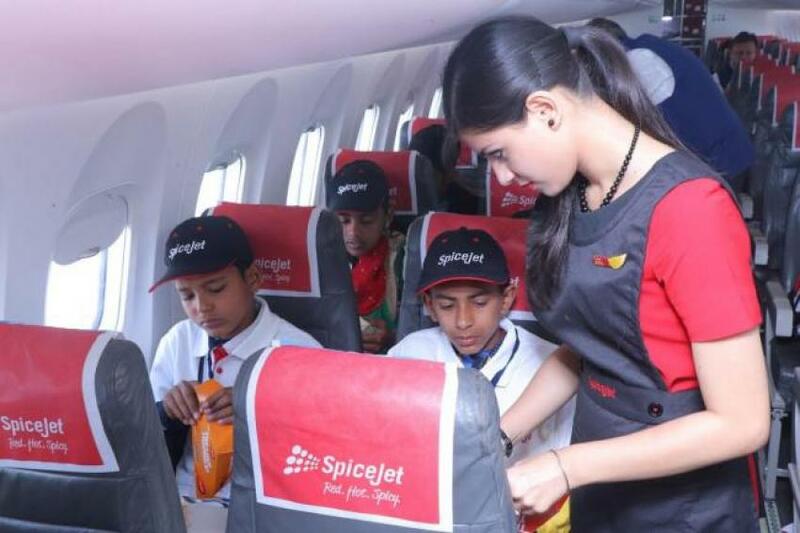 To participate in the lucky draw the passengers just need to book a SpiceJet Mega Monsoon Sale ticket along with a Spice Add On from amongst SpiceMax, Meals or preferred seats," the airlines major said in a statement. Customers who book on spicejet.com can avail exclusive offers like free meals & priority check-in using HDFC Bank credit cards, said the statement.
" They can also avail SpiceMax, the premium seat product from SpiceJet at 50% off using HDFC Bank Credit cards. Customers who book preferred seats with their tickets will get assured SpiceStyle vouchers worth Rs 500," it said. The 7-day sale and lucky draw launched on Wednesday will be open till the midnight of July 4. The travel period covered in this sale is July 14 to Mar 24 and is valid for travel on non-stop flights on SpiceJet's domestic network.